They won't allow me to play the game myself, but this will be the first time I've had a chance to see the eagerly-anticipated Battlefield 3 playing on a console in person. I, and probably lots of you, had a chance to see the game played on a PS3 during an appearance on Jimmy Fallon's late night show. But I asked for a chance to check the game out to see how the console version compared to the computer one in person. Initially there isn't a lot of difference to notice. O'Leary is guiding his soldier through the familiar Fault-Line series of gameplay shown off on Fallon and elsewhere. Another soldier shoulders his way into a garage, works his way through the building and then out into a parking lot where the group is ambushed. Things look very similar, but then I start to notice some subtle differences. The lighting is the biggest difference. In the Playstation 3 version the shadows cast across the opening sequence are sharper, there's less subtlety in the way the light is diffused. During the gunfight that takes place outside in the parking lot there seems to be a lot less smoke and dust on the PS3 version. When my teammates fire, their barrels don't spew out smoke that quickly dissipates. In the PC version the entire parking lot seems to be clouded with debris, smoke and dust, in the PS3 version the same scene seems clearer, cleaner. But these are the sort of differences you'd only notice if you were looking for them. 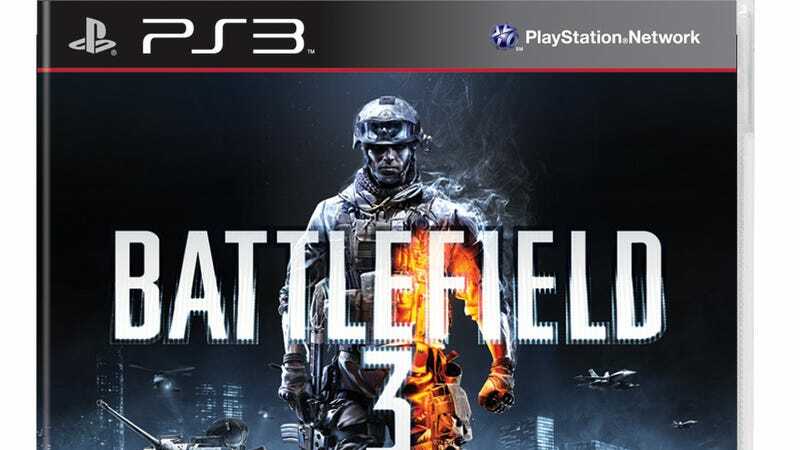 At first blush, the Playstation 3 version of Battlefield 3 is every bit as impressive as the computer version. The fidelity of the urban battlefield is overwhelming, the nuance of details found in the buildings, cars and make up of the city serve as a sort of camouflage for the action that unravels during the gunfight. It's hard to spot enemies until they open fire. Most importantly, the PS3 version won't disappoint fans who found the PC version of the game thrilling. While I wasn't able to play through the level, O'Leary pointed out some minor, obvious differences, between the controls of the PC and PS3 version. The game will use the directional pad, for instance, to allow you to turn on a weapon-mounted flashlight. It also changes your weapon's firing mode and brings up your character's special kit in multiplayer. As my short time in front of the PS3 version of the game wrapped up, I ask O'Leary if we can expect to see Move support on the game. "Right now we're focused on shipping the best game in October," he responds, completely side-stepping the question. It sounds like the game's next big showing will be at Gamescom in Germany next month. Hopefully we'll get a chance to play the game on a console there.